I tend to get into breakfast grooves. As a uni student living in Carlton, most every day for about two years I would have a big bowl of muesli for brekky while reading my school texts, followed by a percolated coffee and a cigarette sitting on the green bench in our freezing cold courtyard. When S and I were first hanging out, getting to know one another, whenever he would stay over breakfast would be down at the uni cafe – almond croissant for him, orange poppyseed muffin for me, long blacks and hand-rolled cigarettes for both of us. While living in Buenos Aires breakfast would usually be a black coffee and two medialunas (the Argentine word for croissants – literally translates to ‘half moon’) in the cafe at the corner of my street, attempting to read the local papers. In the big Brunswick share house I lived in before moving in with S breakfast was a big bowl of creamy porridge enjoyed in the sunlit backroom with my housemates. During the last few years living in Melbourne with S weekend mornings would be spent at any one of a number of local cafes drinking coffee, reading the paper, eating eggs and mushrooms and all sorts. These days breakfast is a family affair – out on the deck, S drinking coffee, W making mess, T sleeping in his bassinet, and me eating a big bowl of bircher muesli. 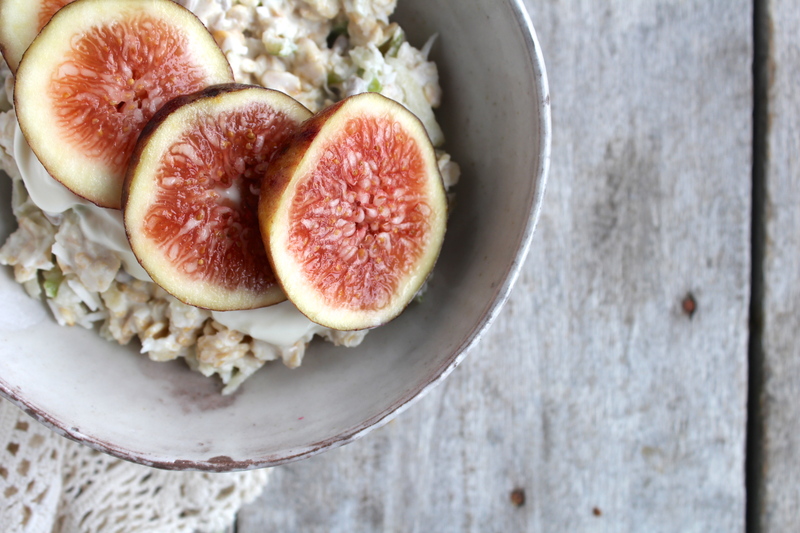 I’ve been making a version of this bircher muesli for years. It is easy, nutritious, and wonderful. 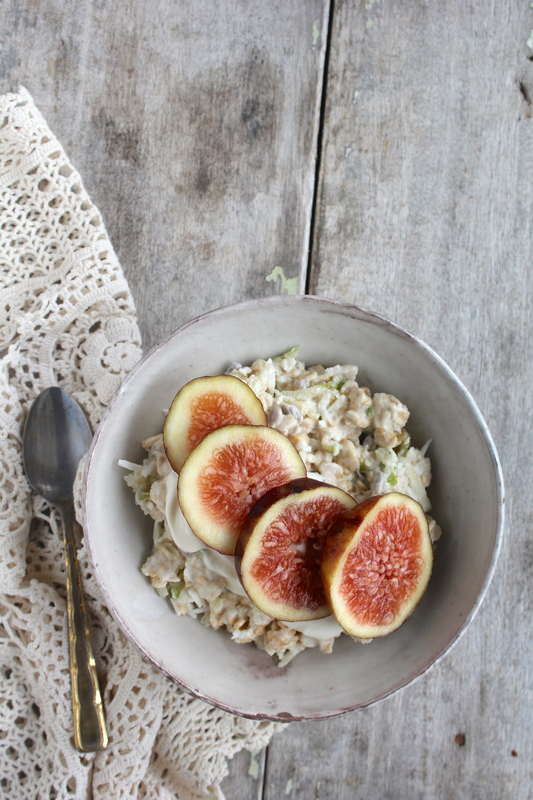 During the warmer months, when it’s too hot for porridge, it is my go-to brekky. It is also the best thing to make when you know you have a busy morning the next day. Prepare the bircher in a jar the evening before, top with yoghurt and fresh fruit, and all you need to do in the morning is grab a spoon. Perfect if you have an early morning flight. Until now I’d never actually measured the ingredients out, instead just using my eye. Which is to say that this is a flexible recipe – throw in some extra seeds if you got ’em, roasted nuts, even some dried fruits. Whatever takes your fancy! It’s hard to go wrong. In a medium-sized container combine the oats, seeds, and coconut. Coarsely grate the apple into the oat mixture, adding the lemon juice, honey, yoghurt and milk. Stir together making sure everything is thoroughly combined. Cover and leave refrigerated for at least eight hours (overnight is best). Serve topped with an extra sccop of yoghurt, a drizzle of honey (if using) and fresh fruit of your choice. Notes: the almond milk can easily be replaced with soy, cows, or coconut. Likewise, the honey can be replaced with any sweetener of your choice (brown rice syrup, maple syrup), and if you’re vegan replace the plain yoghurt with coconut yoghurt. Easy! Fresh figs are the best, if only the fig season weren’t so short. I visited Mendoza a few times while I was in Argentina – mostly to drink wine! I have the fondest memories of Argentina – I’m always making plans to go back for a visit. 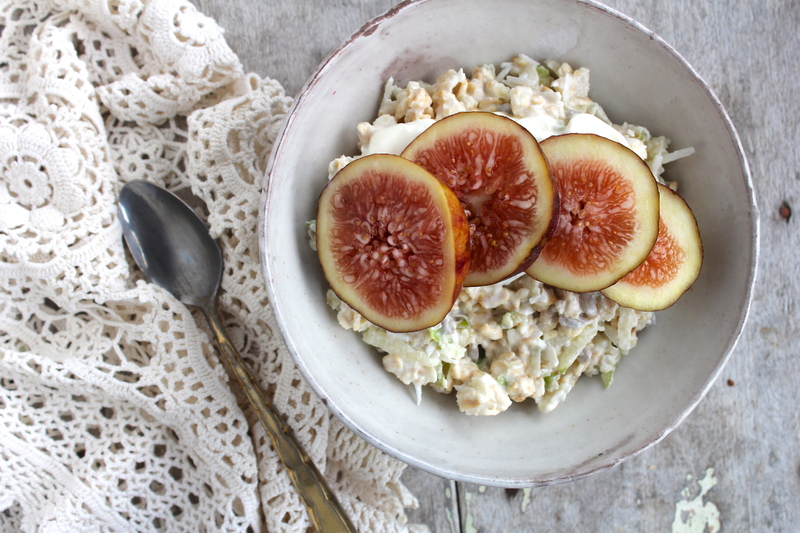 I love fresh figs! They are so hard to find though 😦 Bircher Müsli is always a good choice and those two combined – wonderful! 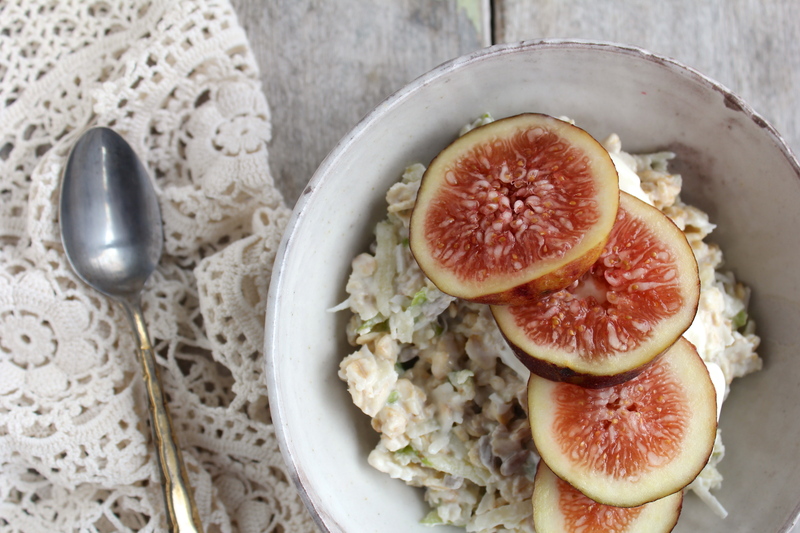 Fresh figs are one of my favourite things – we bought a whole tray recently from the market. Best indulgence ever.